We still have a few days left of Winter break and the natives are getting restless. These cute winter coloring pages will come in handy to keep the girls occupies when it is too cold to go outside in the morning. 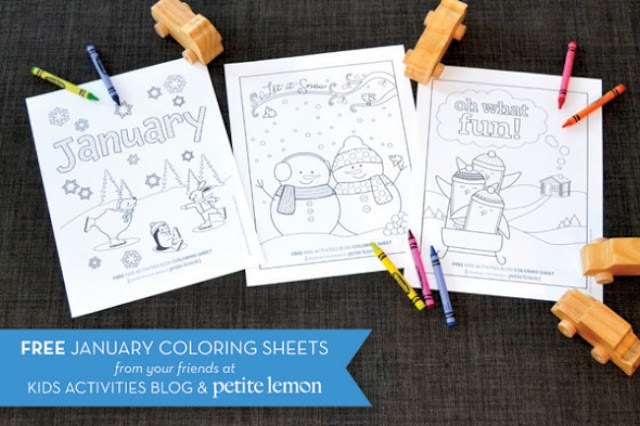 You can download these free January printable coloring sheets from petite lemon over at Kids Activities Blog.